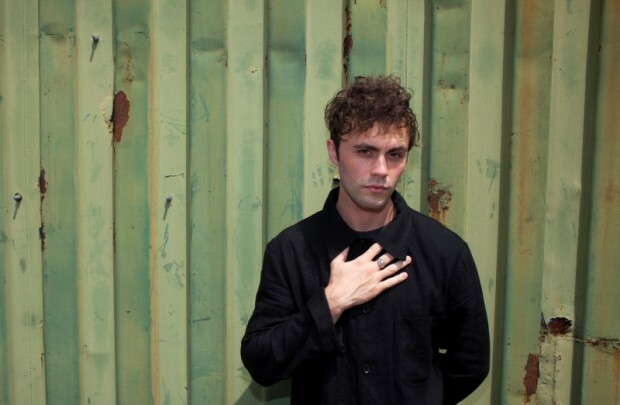 MIKKY EKKO might not be a house-hold name, however with a UK Top 5 single already under his belt and recently completing a run of dates with One Republic in the UK, there is no denying that soon, things are going to change. With a solo album set for release later this year, we caught up with Mikky to talk about the tour, the album and that collaboration with Rihanna. Soundcheck: You’re just come off your UK tour with One Republic, how were those shows going? Mikky Ekko: Ohh, Amazing so far – Roundhouse in London was incredible and the crowd in Bristol was so welcoming. They were singing along with tunes and with not having a record out yet, that felt special. SC: Were you able to catch One Republics set on the run of dates and what’s it like being on tour with them? ME: Yeah, yeah – I met up with Ryan Tedder when they were out on tour in the US and it really made me want to step up my game because he is such a strong front man, I’ve seen them he last few nights as well. Tedder and I are pretty competitive, no matter what slot I’m in I have pressure to put on a show, I want to put on the best show. Right now I know I’m still learning. So what I want to do is pick up little things which I can pick up and take them into my world. I see him as both a mentor and also, obviously, competition! SC: What’s the reception been like for your music so far – especially for you last single ‘Kids’? ME: I think ‘Kids’ was pretty well received, but there has been so much work going one with trying to get the record done and picking which song that are going on the record because I am a workaholic, I just write and write and I am secretly hoping that I write one thats good enough to bump one to another slot or something. But the response at these shows for just a “Do people actually know who I am?” and the answer has been really surprising. SC: You’re perhaps best known for the track ‘Stay’ with Rihanna, how did that process come about? ME: Yeah, I’ve always been an artist first and I wanted to take some time away from touring to really focus on some song writing – and I was in London with Justin Parker who did ‘Video Games’ with Lana Del Ray and originally it was intended for me. For me, I try to keep songs really about what I’m going through, so normally its for me. However they got in touch after she heard it and it was really difficult for me because to accept because it was such a vulnerable song for me. By the time I realised what a incredible opportunity to bring that song to people and for her to champion a song like that was a really big statement and thing for me. SC: Are you trying to move on from that experience or are you still learning from it? ME: For me, I try to look at the past and present; using that to build themes, for the future. At the end of the day nobody pushes me further than I do. Everyday I’m going in to write a song to song better than the day before or find a new way to reach people. It catapulted things falsely to a position to a state where it made me aware of what I’m capably of. When it reaches an artist that big I want to keep writing at that level. SC: What are your aims for the rest of 2014? ME: Ohh, you’ll definitely be getting an album this year, I’m actually just deciding which single is going to come first! We’ve got a lot of tracks I really love and they’re all just being finished now. I’ve got a couple of album tracks which are really personal to me which are done so that’s really good. Digital and Live Editor of Soundcheck. I am a huge fan of emerging new music. You can usually find me in a field over the summer.